In the past weeks, Mconf’s issue tracking has been migrated from our old internal Redmine server (that used to be on the domain “dev.mconf.org”) to GitHub. We needed more stability and a centralized point for code, issues and wiki, and GitHub is great for that. We now make full use of issues and pull requests in GitHub for all of our projects. Moreover, a few days ago Mconf.org has received a few upgrades that improve both the web portal and the web conference backend. Here’s a short summary of what has been added in these updates. Removal of the features “private messages”, “news”, and “spam reporting”. These features were on Mconf-Web since it first started as a customized version of the open source software Global Plaza. With years of development and usage, we realized that they were very underused and/or were not designed in the way we wanted them to be. This update removes those features, that in the future might be recreated, redesigned and implemented in a way we believe to be more useful for the users. This is also aligned with the goal of making the application simpler and easier to use, since it removes things that were actually more of a distraction than anything. Added translations to German and Spanish, thanks to the community of translator on Transifex! 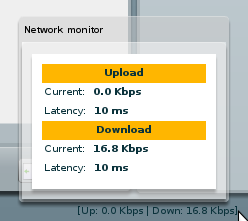 Improvements in the speed of some pages, specially the list of spaces. This page used to load very slowly since there are thousands of spaces in Mconf.org, but now the queries were improved and it now loads as fast as any other page. Several security fixes, bug fixes and code improvements in general. Upgraded libraries and refactoring of (usually old) code always results in gains in security and stability. As for the web conference system, Mconf-Live, the development has also been going strong in the past months. The latest changes made available on Mconf.org are mostly back-end improvements, most of them related to the stability of the application. The biggest feature change in the past months is certainly the adoption of WebRTC for audio, that improved the quality of the conferences a lot. The next version of Mconf-Live, to be released in the next few months, will be based on BigBlueButton 1.0, bringing with it all the features and improvements made on BigBlueButton 1.0 over 0.9 and still keeping all the features that are still unique to Mconf-Live. To see more, sign in to your Mconf.org account (or create a new one) and try it out! If you have comments or suggestions, reach us out on our contact page. For bugs and features, drop by our GitHub page to create an issue. We’ve recently release on Mconf.org’s YouTube channel a few of the first tutorial videos from a series of videos that is being created to teach users about all features available in Mconf. The videos are meant to be short (up to around 5 minutes) and cover a single feature or use case. 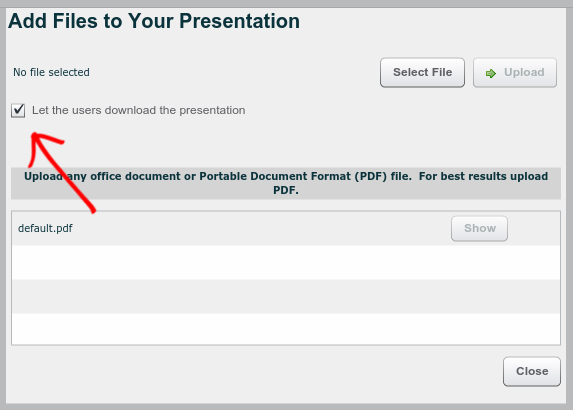 For example, there’s a video that shows how to share your microphone in a conference; another tutorial explains the roles users can have in a conference and what each role is allowed to. How to access Mconf, change your profile, account and picture. Creating a web conference, sending invitations and accessing conferences through an invitation. Create spaces and create web conferences in spaces. 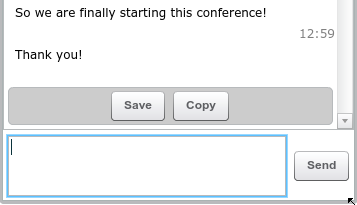 How to protect conferences with passwords. User roles in a conference. How to share your webcam and microphone. Visualization and control of videos in a confernece. Chat, sharing presentations and using the whiteboard. Changing and managing confernece layouts. Recording a conference and watching recordings. Currently the videos are only available in Portuguese, but we plan on releasing English subtitles for them in the future. If you would like to see these videos in another language, whether you’re able to contribute to the translation or not, let us know! The playlist (Portuguese only) can be found below or you can also see it on YouTube. Even though we”ve been absent for a long time (our last blog post is from two years ago), the development of Mconf has been going strong during all this time. We can even say it”s more active today than it has been in the first years of the project! A lot has happened in Mconf during this time. In the next few months, we”ll be trying to give you an update on all that”s happened. To start it, this post will give you a brief summary of the most relevant news and features that should be covered in more details in future posts. As of the time of the last post in this blog, Mconf had a native Android application in development. Given a few issues we had with the application and specially due to the cost of maintaining it, we decided to stop its development in favor of a new mobile application that is being developed using the framework Adobe Air. This makes the mobile client a lot more similar to the web client (that uses Flash) and makes its development and maintenance easier. As a great bonus, Adobe Air also allows the application to run in iOS devices, so the mobile client will, in the future, run on both Android and iOS devices. This application is still in development in a combined effort of Mconf and BigBlueButton. If you”re an old user of Mconf.org, you certainly also noticed some changes in the site in the past months. Both the landing page of Mconf.org and the web portal (that also runs on the domain mconf.org) were updated. The web portal is the software Mconf-Web, that has received a lot of updates in the past years. It is now very close to what we call version 2.0, a completely refactored version of the first web portal that was previously available on Mconf.org. It includes countless changes, both in the code and in the way it works and looks, most mobile casino of them aiming to make the application simpler, cleaner and more reliable. The landing page has also been updated to a more modern version, with a design that matches the new web portal, and a lot of its content was updated. As for Mconf-Live, Mconf”s web conferencing module, the changes were also plentiful. We followed the upgrades in BigBlueButton (currently on version 0.9.1), and contributed to it, as you can see in the BigBlueButton and Mconf page. 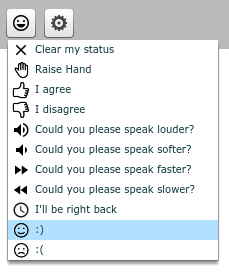 The new features on Mconf-Live include the ability to share multiple cameras, the options to promote users to moderators (or demote them to attendees) from inside a conference, the listen only mode, the shared notes module, the options to download presentations, chat and shared notes, the new options for user status, and the new webhooks module (*phew* ). We should go into more details about them in future posts. Take a look below for a few pictures of some of these new features. So that”s it for a brief summary of all that was done during past months. Expect to hear from us again soon! We are proud to present our brand new website that introduces Mconf”s new visual identity! This website will be an organized repository for all types of content related to Mconf, with explanations about the project, informations about the components that build the system as a whole, news, and any other information that might be relevant to the community. And also, as you can see, we now have a blog! In the following posts in this blog we will show you what”s happening in Mconf today and what are our plans for the future. But for now, let”s just take a look at our new website. One of the reasons it was created was to remove content that”s specific for Mconf from our web portal (Mconf-Web), that aims to be a generic application for anyone that wants to use BigBlueButton. Pages such as “contact us” and “informations about the Mconf network” were moved to this new website you”re seeing now, casino pa natet making online casino Mconf-Web a bit more generic and reusable. The content you can find today in this website is the basic structure for what will be added in the future. In the main page we have an overview with a demo where you can test Mconf and take a look at all its features. It also points to the Mconf Portal, the social network that provides access to Mconf and aggregates our communities and users. Currently, most of the content in this site is located in the about section, such as the page that explains the concept of the Mconf global network and the pages with resources and publications. Also, if you want to know the people behind Mconf you can check our team page and maybe contact us directly. 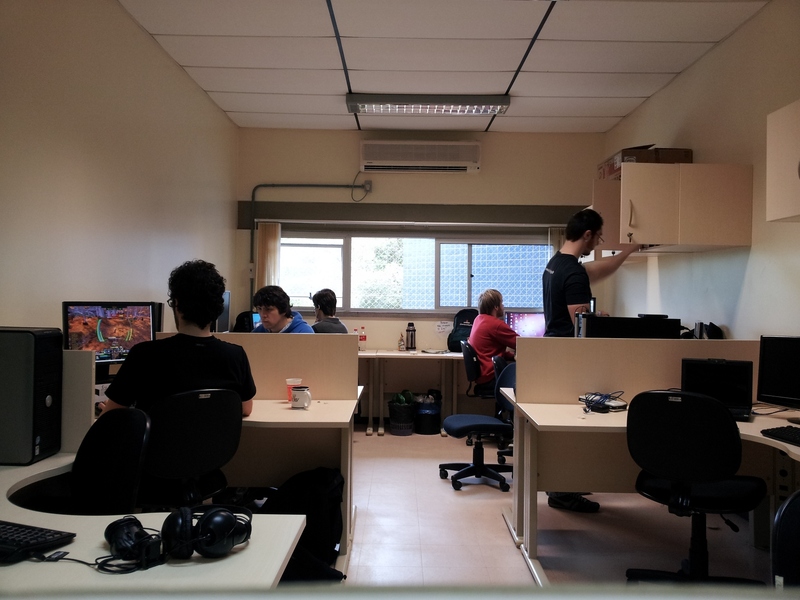 And, at last, this change happened at the same time another major change is happening: our headquarter was moved to a new lab to accommodate the new members that will be joining our team very soon!